The College of Health Sciences cordially invites you to attend an on-campus information session for the Bachelor of Science in Health Sciences program. This undergraduate degree program is designed to prepare you for competitive application into graduate degree programs in a variety of health care professional areas. 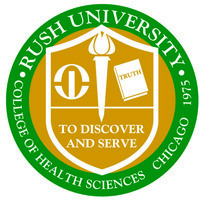 The information session will be held at Rush University, in the Armour Academic Center, room 1096. The Armour Academic Center is located at 600 S. Paulina St., Chicago, IL 60612. Parking is located in the main parking garage at the corner of S. Ashland Ave. and W. Harrison St. Please bring your parking ticket with you to the event to be validated for a discounted parking rate.